We, SW Capital Pvt Ltd. acknowledges and accepts that the personal details that you impart to us, is to be kept in strict confidentiality and to use the information only in the manner which would be beneficial to our customers. We consider our relationship with you as invaluable and strive to respect and safeguard your right to privacy. We shall protect the personal details received from you with the same degree of care, but no less than a reasonable degree of care, to prevent the unauthorized use, dissemination, or publication of this information as we protect our own confidential information of a like nature. 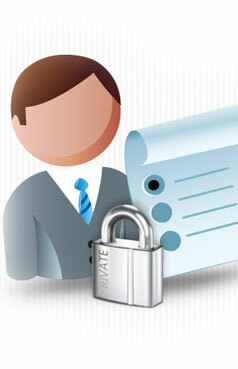 We ensure that the personal information given to us by you on the web is placed in the secured portion of our web-site. We use the most advanced encryption technology, Secure Socket Layer (SSL), to ensure that the information transmitted between you and us across the Internet is safe and cannot be accessed by any outsider. SSL has been universally accepted on the World Wide Web for authenticated and encrypted communication between clients and servers . To ensure security of access to the personal information and transaction details, the access to the secured zone of our website is restricted by the unique login ID and Password selected by you. You should be very careful in handling the ID and password and you should ensure that you do not reveal it to anybody, nor do you keep it in writing. You should keep changing your password periodically to ensure safety of your trading access. You should ensure that each time you leave your terminal you log yourself out. This prevents someone else from accessing your account if you leave your computer and your session has not "timed out"
SW Capital Pvt Ltd. makes no guarantees or representations as to, and shall have no liability for, any electronic content delivered by any third party, including, without limitation, the accuracy, subject matter, quality or timeliness of any electronic content on the Website. SW Capital Pvt Ltd. shall not be responsible for the contents of any linked site or any link contained in a linked site, or any changes or updates to such sites. The links being provided to the Customer are only for convenience, and the inclusion of any link does not imply endorsement by SW Capital Pvt Ltd. of the site, or its content or the sponsoring organization. By providing access to other websites, SW Capital Pvt Ltd. is not recommending the purchase or sale of the securities issued by it nor is it an endorsement of services provided by its sponsoring organization. To enable us serve you better, it is necessary that your personal information available with us is updated and accurate. Our web-site enables you to update your personal information. You can also send us an e-mail at Customer Service and we shall ensure that your information is updated and protected from any misuse or unauthorized revelation.